The holidays are just around the corner, and I would like to GIVE AWAY a $50 Amazon gift card to thank my readers and followers! This site is less than a year old, and I am fortunate to have received some very kind and encouraging feedback from some of you supporting my work here on this little web spot of mine. Thank you to those who supported me through my humble beginnings here on the blogosphere. I have learned a great deal, and the learning shall continue as I grow with my blog! I am truly thankful for your encouragement. Your love and support inspires me to continue my work on this blog. And it is time for me to give love and appreciation back during this holiday season. So don’t leave here until you’ve read this entire post and entered yourself for a chance to win. More details below. But first, I would like to talk about a free new social web app designed to help foodies like me remember and share my favorite eating places. It is called Smorgie. This site lets you create personalized lists of eateries, add restaurants to your lists, add photos for restaurants (e.g., your favorite dish), and add personal notes about a restaurant on your lists. You can also setup your own profile on Smorgie.com, befriend other foodies, and share your favorite restaurant lists with others via facebook, twitter, email, and pinterest. What I find cool about this free new web app is that I now finally have a clean way to organize and share my thoughts on restaurants. I have several tiered lists on Smorgie, organized by geographic area and by my degree of veneration for the eatery. For example, I have one very exclusive list to track my all time favorite eateries in the SF Bay Area. I have another list for SF Bay Area places that have a lot of buzz around them that I’d like to try some day. And I use a third list for SF Bay Area places that I am impressed by but haven’t quite earned a spot on my exclusive all time favs list. This is so useful because when I have visiting friends and family in town (especially during the holiday season), I just send them to my tiered restaurant lists online. They can see my notes and photos and choose a restaurant from my recommendations there. I no longer need to manually come up with and email restaurant lists each time I have visiting guests. So convenient! And if you saw my Food Photo Post from Italy, you’ll know how extensively I research my restaurants and food before I go on trips. So Smorgie will be a place where I can create a new list for my destination city, and add eateries I’ve seeked out. I can even add notes for each restaurant to remind myself on what to try when I arrive. This is so useful for me! Bear in mind though that Smorgie only lets you track US eateries at the moment. If you travel domestically a lot, Smorgie can be a useful app for you. I also saw that they will release an iphone app in the coming months which will make the web app even easier to use. Smorgie is still very new, as they exited their Beta phase just earlier this month. Some of the features are still not fully “baked”, but the tool as it is right now relieves my restaurant organization and tracking headaches. And they are very eager to see user feedback so that they can make improvements. In fact, they have a feedback survey which enters you into a $35 gift card drawing if you leave an email address. Ok, back to my READERS APPRECIATION GIVEWAY. 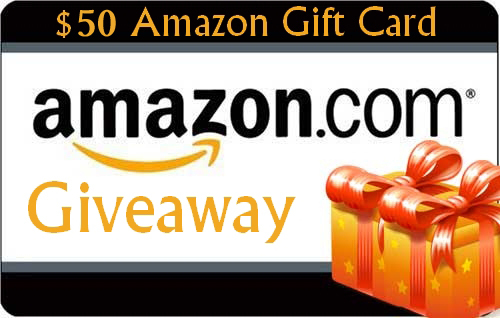 I am giving away a $50 Amazon e-gift card to one lucky reader who submits a comment below on this post. This giveaway is open to readers worldwide, and will close at 11:59pm PST on Friday, January 6th, 2012. Below are SEVEN ways you can enter into this drawing to maximize your chances of winning. Good luck! Simply leave a comment below – just say hi, or let me know which post(s) you like most on this site and why. Share this Post on Facebook, and leave a separate comment below saying you’ve done so. Twit this message, and leave a separate comment below saying you’ve done so. Like Chinese Soup Pot on Facebook, and leave a separate comment below saying you’ve done so. Follow Chinese Soup Pot on Twitter, and leave a separate comment below saying you’ve done so. Subscribe to Chinese Soup Pot on RSS or Email, and leave a separate comment below saying you’ve done so. Leave a separate comment below with any constructive feedback or suggestions you have for this site. I’m always looking for ways to make improvements, so thank you in advance for your thoughts! As a bonus, come back daily and leave one comment everyday until this giveaway closes. And if you haven’t already, see my 2012 Lunar New Year Giveaway for more prizes to welcome the Year of the Dragon. Happy Chinese New Year everyone! Smorgie sounds pretty cool, I will have to explore some more You have a lovely site here and some of your soups that I have taking a peak at are magnificent! So generous! I’m happy that I found your blog Sharon. Like I mentioned before, my husband likes Chinese soups but I didn’t have any recipes to go to. Your site has very helpful info for people like me who doesn’t know how to cook Chinese soup (and written in English!!). I’m in Taiwan now eating lots of soups and I can’t wait to re-create my own using your recipes when I get back! Smorgie sounds like a great app, and definitely very helpful for traveling! Thanks so much for hosting this giveaway…it is very generous of you! My wife and I are big fans of Chinese soups and have recently stumbled upon this site. Thanks for posting all the great recipes and helpful info. Keep up the good work! The food from Northern India: Mainly breads with dishes which has a thick sauce and dairy products such as cream, paneer, ghee, and youghurt. I’ve never heard of that app before, but it sounds awesome! Smorgie sounds like a great app! Happy holidays to you and your family too. Following you on Twitter and tweeted your giveaway. Great giveaway! Thank you for hosting it! I’ll have to check out that site, sounds cool. I think it is awesome you take the time to find sponsors for giveaways for your site! Thank you! Hi Sharon! How nice to stumble across this right now! I haven’t looked into your recipes, but I enjoyed your posts about soaking beans and which soup pot to use. And your “about” page! I’ve liked you on Facebook already before I saw this. So far, I can only say that I really like your blog! I love to learn more about cooking, especially when it’s a kind of food and a cuisine I like, and I’m intrigued that your recipes come with so much traditional Chinese nutrition wisdom. I also like that you make informative posts around ingredients and cooking techniques. So far, just happiness! Ahh, now I just had an idea: Do you have something like a recipe index, maybe sorted by soup kinds (veggie, chicken, fish etc)? I like that easier than just ingredients list, and it invites to browse. It’s also helpful as the number of recipes is growing. Sorry, I didn’t want to make this a separate comment, but I’d already launched the other one and just got the idea when I opened your recipe page. Please don’t count this one! I’m a fan on Facebook. Love your soup recipes, they taste great. I am so glad I’ve found your page! I am absolutely happy with your site. Only one thing – please, more of your wonderful easy-to-make recipies! Hi Sharon! I hope you had a wonderful Christmas. I didn’t know we can leave a comment everyday for this giveaway! I’m just stopping by to say hello as I’m still on a break… I’m heading down to San Diego tomorrow for vacation with my mom. It’s really nice day in Bay Area today, and I hope you are having a good day. Happy New Year, and I look forward to your new posts in 2012.
daily comment – would love to win! Thanks for sharing easy recipes. I like Chinese Soup Pot. You share your recipes of making Chinese soups to the people and provide a lot of health information about the foods. Thank you for your hard work. Adding a daily comment. My wife and I really like your soup site! I am already subscribed to your RSS too. My wife and I love this soup site! new daily comment – want to win! I like the Chines soup recipes, and I have actually attempted to make a couple. I followed Chinese Soup on twitter. I followed your rss feed via google reader. The don quai and fig! Love it! I cant eat pork so looking for other soups, chicken maybe or beef. I liked your facebook page too! I signed up for your emails! Looking forward,to them! my daily comment – want to win, please! D look at rafflecopter.com foor giveaway form. I hope I will win!! daily comment. Thanks for this giveaway! My last daily message for the contest!!! I am looking forward for the draw!! That is a great prize!!! Thank you so much for my prize! It arrived and already applied to my account! I love your site! Please add some soups to benefit my me at my time of loss. I am so grateful for your prayers and thoughtfulness! I a, having a hard time holding food down since her death, perhaps you know of something to strengthen my chi, calm my nerves and settle my spirit? Thank you again so very much! That’s the perfect insihgt in a thread like this. @ Diana – You are very welcome! Please know that I still have you in my thoughts during this time of lost. I can think of a few soups that may be good for you at this time. One is the Radish Daikon and Carrot Pork Soup. I love how it tastes. Drinking this nutritious soup hot always brings me comfort and get nourishment – something important for you now since you are not holding down food. Two other soups you can try are the Chinese Yam and Goji Pumpkin Pork Soup, and the Shiitake Carrot Lotus Seed Soup. Both of these are neutral soups that gently nourishes and strengthens. Thank you again Sharon! I love the recipe for the “Diakon Carrot soup! I am going to the market later today to get the ingredients to make it. I also really like the “Yam and Goji berry soup” suggestion! I never did aquire the taste for shitake though. Even though i know they are so good for me. Its not the same when you substitute portabella either, shitake mushrooms are so good for you. I may try it with black flower mushrooms instead. I am so grateful for your suggestions and i have my shopping list for a weeks worth of soup recipes thanks to you and this lovely soup site!